NASHVILLE, TN (November 19, 2012) - Creative "sparks" flew when members of Country band LiveWire toured Nashville last week to promote their debut Way Out West Records' album, LIVIN' and new single, "Lies." In a 3-day trip packed with interviews and acoustic performances for some of Nashville's top movers-and-shakers, the Joplin, Missouri-based musicians impressed with their refreshing Ozark Mountain firebrand Country Rock sound and top-notch songwriting skills. After LiveWire lead singer/acoustic guitarist Andy Eutsler, rhythm guitarist/backing vocalist Danny Bell and bassist Landon Rolfe performed on Bill Cody's morning show on WSM-AM, the legendary radio and television personality stated: "It's often said in Nashville, 'It all starts with a song.' That's what had me hooked the first time I heard LiveWire's LIVIN' CD. The songs, many of them originals, immediately set them apart. "Lies," "History," "Livin'," "Better" ...one time through and I just had to hear them again. They've worked hard to hone their craft; it's obvious they've succeeded. This is one strong debut!" In another career highlight, the assembled members performed for radio industry heavyweight Lon Helton and his staff at Country Aircheck. Following a morning interview with the band members, Matt Bjorke of Roughstock issued a 4-star review of LIVIN' where he observed that the album "finds LiveWire showcasing a unique modern Country sound that also feels timeless. The lyrics are original and not just same-ol, same-ol Nashville stuff. LIVIN' is one of the year's better, most-complete albums." During the press junket, the group (which also includes lead guitarist and group founder Bobby DeGonia and fiddle man Cory Shultz who were unable to make the trip due to personal obligations) was interviewed by a number of popular television and Internet outlets, including Inside Music Row, Entertainment Circle Network, Nashville.com, Nashville Country Club, Cyber Country and StageShottz Magazine. Principal songwriters Eutsler and Bell -- both singled as top-shelf songwriters in almost every review of LiveWire's music to date -- also met with several top-level music publishing and songwriting professionals from the Nashville creative community. The experience was capped when they had an evening writing session with their long-time friend 2012 MusicRow "Breakthrough Songwriter of the Year," Johnny Bulford ("A Woman Like You" by Lee Brice). LiveWire's relationship with the singer/songwriter dates from when Bulford won the top prize over LiveWire and a field of other hopefuls at the 2009 "Colgate Country Showdown" held at Nashville's Ryman Auditorium. In the ensuing years, the band and the singer/songwriter have become friends and supporters; LiveWire included three of Bulford's compositions on LIVIN'. LiveWire is currently performing shows in their region and preparing for a Midwest radio tour. Since forming in the mid-'90s, LiveWire has forged a reputation as one of the top-draw live acts in the Midwest by regularly packing venues in the band's home state of Missouri and in the surrounding states of Oklahoma, Kansas and Arkansas. Along the way, this homegrown talent has taken the members of the sextet across America opening for Country superstars including Toby Keith, LeAnn Rimes, Montgomery Gentry, Diamond Rio and Kix Brooks. The group experienced a brush with the "big time" as finalists in the 2009 Colgate Country Showdown. 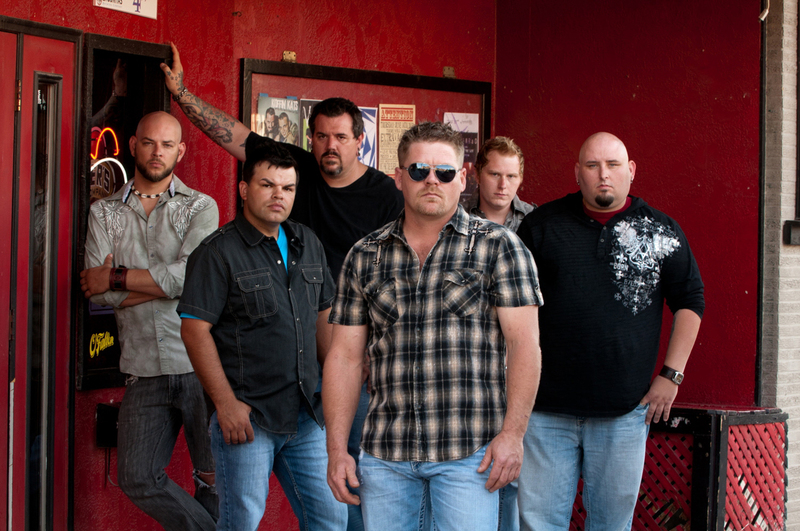 LiveWire released a self-titled EP in 2011 which included its debut radio single, "Tater Fed," a stirring backwoods rocker that quickly became the band's anthem. After signing with Way Out West Records in late 2011, LiveWire released a video for "Tater Fed" and a benefit single and video of "Miracle Of The Human Spirit," which benefitted the group's tornado-ravaged hometown of Joplin, Mo. LiveWire's music has found success at Country radio, both in the U.S. and in Europe, and its videos have received airplay on CMT Pure, The Country Network, Yallwire and other outlets. For more information about LiveWire, LiveWireCountry.com. "Like" LiveWire on Facebook: Facebook.com/LiveWireCountry. Follow LiveWire on Twitter: Twitter.com/LiveWireCountry. Way Out West Records Nashville is an independent label founded on the principles of nurturing creativity and artistry through long-term development and marketing strategies. The label was co-founded by flagship artist Shawna Russell in 2008.